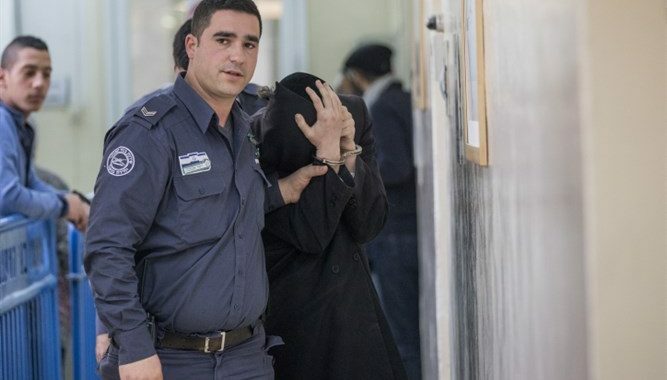 On Wednesday, Israel police arrested a 30-year-old Haredi man on suspicion of committing serious sexual offences against girls via various platforms. He is also suspected of keeping locks of girls’ hair and items of their clothing. According to Israeli media reports, the investigation was opened after complaints from the parents of two girls, aged 9-10, who told them that a strange man had sent them inappropriate messages to their cellphones. Police investigators, who identified the suspect using advanced technological methods, arrived at the man’s house in South Jerusalem and brought him in for questioning. In a search of the suspect’s house, police found multiple locks of hair. Some of them were attached to notes with information like a girl’s name and age. Police also found many items of girls’ clothing, with photos of the girls that they were taken from. The investigation suggests that the suspect used both cyberspace and public spaces to “obtain” the locks of girls’ hair and the items of clothing. The police are encouraging any additional victims or witnesses to come forward. Photo is for illustrative purposes.